We plow driveways. We also open up unplowed roads and driveways. 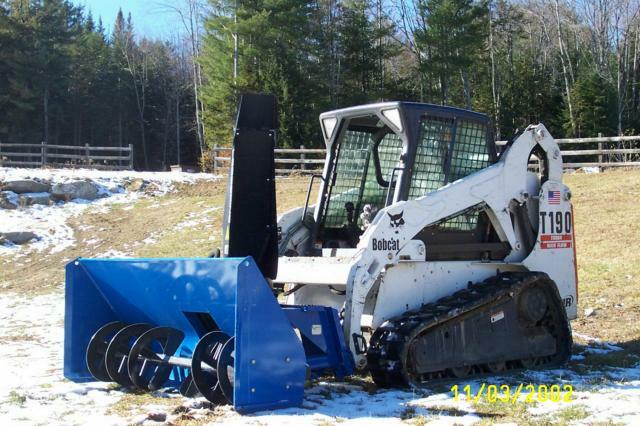 Our skid-steer snowblower combination is ideal for pushing back snow banks without the damage that can be caused by big payloaders. Riding on a cushion of snow, we can avoid flower gardens, etc., while cleaning the snow that had dumped off your roof.